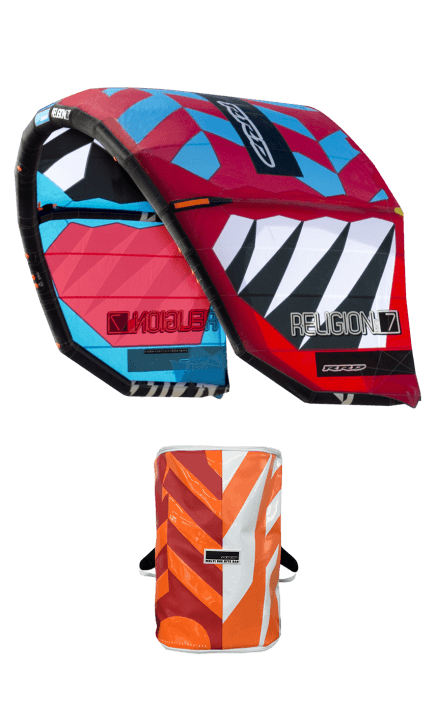 Another big step ahead for our most successful kite in the range, the Religion MK7, synonymous of WAVE in the international kite language. Improving the already successful Religion every year has become a real challenge. Year after year our customers add a new piece to our infinite puzzle and as always, with the Religion MK7, we have succeeded. The new completely redesigned tips allowed us to increase the responsiveness of the kite and create better sensitivity from the bar. Another major change is the reintroduction of the adjustable bridles. 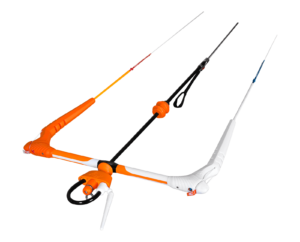 The bridles can be easily adjusted for a side-shore or an on-shore wind by moving the position of the bridle between two points. 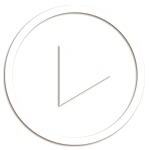 The new adjustments allows the possibility to change the pressure on the bar, the speed of rotation and position of the kite in the wind window. Another strength of the Religion is the super reinforced construction that has always characterized this kite. 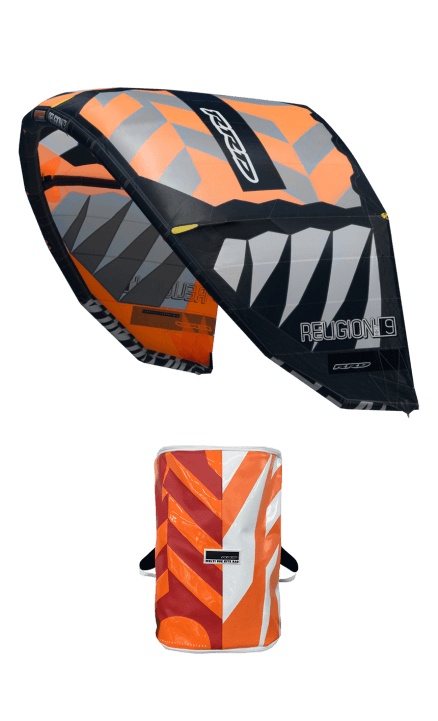 The new graphics have allowed us to create a new web of reinforcements of Dacron on the canopy that give the whole structure of the kite an incomparable rigidity. A true bullet proof construction that makes the body construction between 40% heavy duty Dacron fabrics and 60% lightweight canopy. 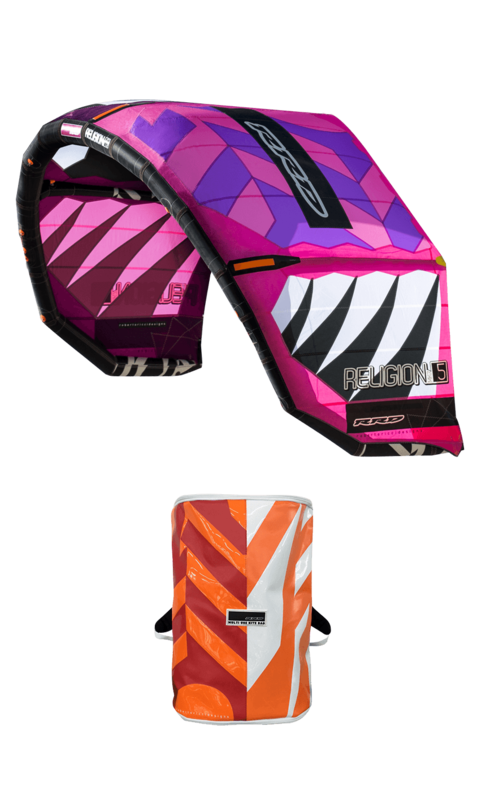 A unique mix used only in the Religion kites which creates superior crash resistance and extends the lifespan of the kite. 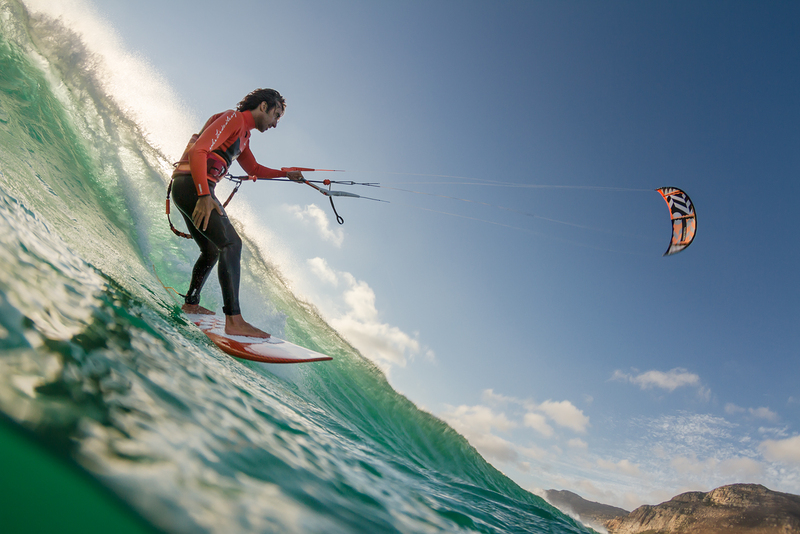 The new Religion MK7 allows for a bigger range of use both on the high and low end of the kite. More power, better lift during jumps, and an enormous progressive de-power that will stop the kite power exactly when you need it. Simply put, this kite is a throttle in your hands. 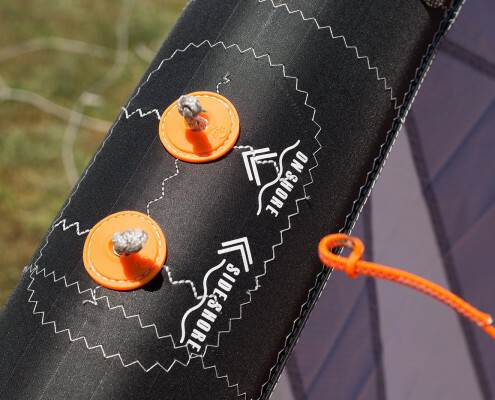 Gearing up your rides when you need power and completely depowering the kite while you are on the wave, the Religion is the perfect wave kite. 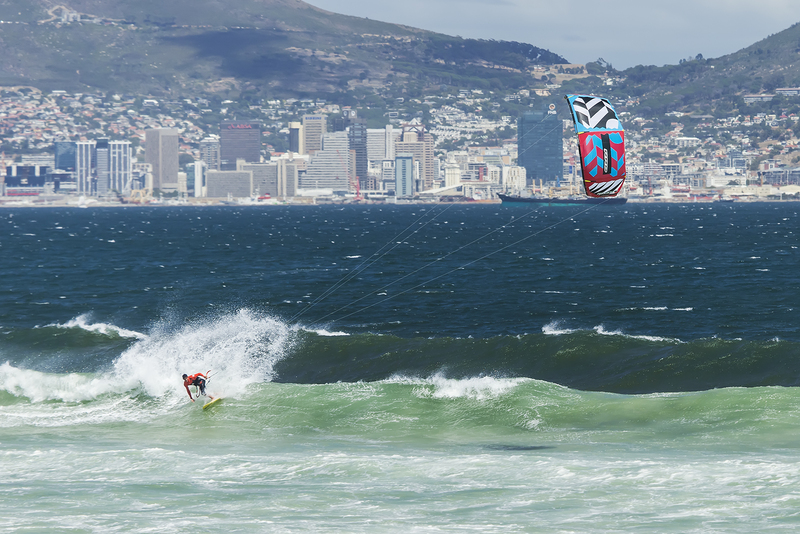 The kite will fly a bit more inside of the wind window and has a more constant pull when you ride onshore waves. This setting also results in less bar pressure, a faster moving kite with a more direct feeling, more power and faster reaction speed. 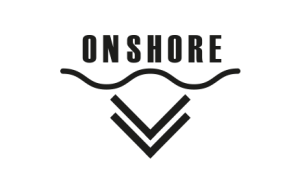 Sideshore, offshore and strapless setting: The kite moves more to the edge of the wind window and releases more power when you push the bar away. This setting also results in some more bar-pressure and makes the kite move a little bit slower.